Gone are the days when terror outfits sent new recruits to PoK for training. Nowadays, terrorists in Jammu and Kashmir are trained via video tutorials. Read the story for details and the leaked video. The Hizbul Mujahideen (HM) cadres in South Kashmir have come up with a rather wicked idea of imparting arms training to new recruits. According to a recently leaked video, their plan is to record and widely share video tutorials (for recruits) compiled by seasoned terrorists. This, in the absence of training camps (like the ones they have in Pakistan-occupied-Kashmir), proper infrastructure and constant fear of being spotted by the security forces. Imparting weapons training is an elaborate process, right from understanding stripping, assembling and use of weapons like AK-47, pistols, RPGL, grenades, IEDs and more. But since the armed forces are always out on the hunt for terrorists, it becomes very difficult for the terror outfits to train new recruits. Earlier, terror outfits used to send radicalized youth to PoK for training whereas nowadays, the practice has seen a steady decline. Mostly owing to the treacherous terrain and well-sealed line of control. "They don't want well-trained men who can defend themselves & fight. All they want is cannon fodder. These young recruits are misled, radicalized and then left out there to die at the hands of security forces. In many cases, these recruits do impart damage to the armed forces as well. But let's not forget, even Burhan Wani's encounter lasted 'minutes'. So, they're definitely not well trained as their seniors and foreign counterparts," a local police officer told International Business Times, India. This video tutorial idea comes to the rescue here in such situations. "The HM leadership wants the young recruits to know the basics of the guns and bombs they would be using, for this their makeshift production houses are working at full pace. They get voluntary help from terror sympathizers locally to produce these shoddy basic-training videos," local intelligence sources explained. 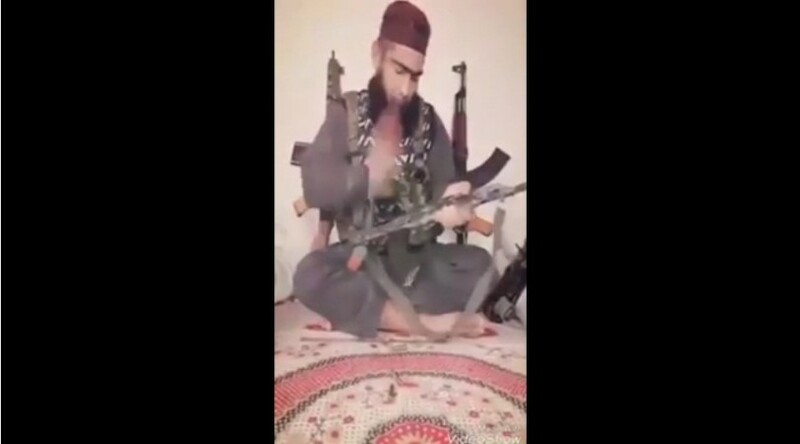 This leaked video (divided in two parts) features a terrorist explaining stripping down of a hand grenade and an AK-47 rifle (we have not posted the entire video considering the sensitive content). The main terror outfit adopting this modus operandi in Kashmir is Hizbul Mujahideen (HM). HM is designated as a terrorist organisation by India, the European Union, and the United States. The outfit is active in Jammu and Kashmir since 1989 with Sayeed Salahudeen (a Kashmiri) as its current supreme commander (based out of PoK). This pro-Pakistan terror group is considered to be the largest indigenous militant group in Kashmir. And it is this group which has managed to attract many youngsters over the years. From the recent bank robberies to killing innocent civilians, political workers and armed forces personnel, this outfit has hogged the news space in the last one month. Sources in the Army Intelligence told International Business Times, India that there are no exact figures about the total number of terrorists active in Kashmir. Putting a ballpark figure at around 270+; Hizbul Mujahideen constitutes a major chunk to this number with Lashkar-e-Taiba (LeT) being the second and Jaish-e-Mohammed (JeM) as the third largest terror outfit in the state. Hizbul Mujahideen also has the largest percentage of local Kashmiri recruits (mostly rookies). With Zakir Musa in Tral and Riyaz Naikoo in Kulgam (South Kashmir), the outfit is led by Yaseen Itoo in Budgam district of Kashmir valley. Lashkar-e-Taiba led by Abu Dujana (in Kashmir) comprises of a mix of local and foreign terrorists, whereas Jaish-e-Mohammed (around 10 active militants) comprises of all foreign terrorists. These young (and educated) recruits utilise internet, social media and technology to their advantage. In the recent past, we have seen how a rather insignificant terror newbie like Burhan Wani (now dead) shot to fame. He used social media to his advantage and the Indian mainstream media played right into his hands. This slain terrorist hogged the prime time news slots and Hizbul Mujahideen used this to glorify him. The rest is history as to how his killing sparked a massive unrest in Kashmir valley. The new Hizbul Mujahideen recruits often record their videos and post them of various social media channels. "The idea is to show these videos to the impressionable youth. Who somehow owing to the ground situation start romanticizing the idea of being a 'rebel' and trot guns to fight the 'oppression'. Most sensible ones don't fall for it, but many do," a local police officer said. Early 1990's aside, over the years, especially starting from the 2008 Amaranth land row through 2010 unrest and fuelled by 2016 unrest (Burhan Wani aftermath), the situation in Kashmir valley has worsened. 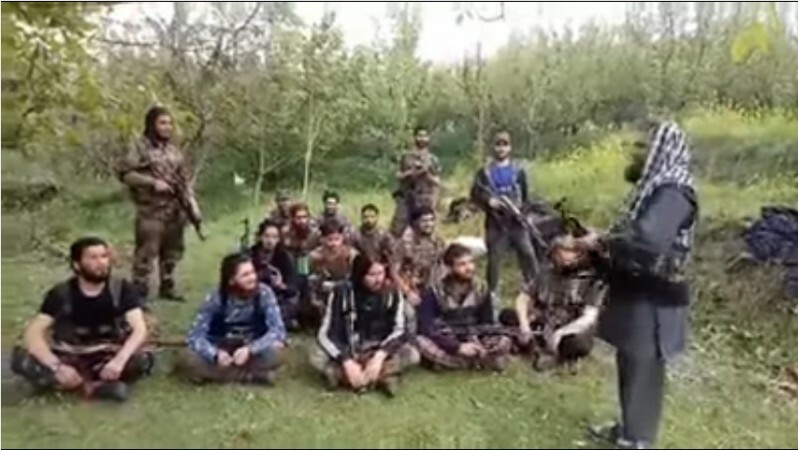 With the propaganda of terror outfits aided by local separatists fuelling anger and mishandling of the situation by the government; there has been a surge in the number of disgruntled youngsters from Kashmir joining the terror ranks (mostly Hizbul Mujahideen in South Kashmir). A recent estimate puts the number of local terrorists at around 150+. What remains to be seen is how the Narendra Modi government and the state government led by Mehbooba Mufti tackle this tricky scenario. So far, the Modi government seems unfazed and the state government unsuccessful in handling the situation. The fact that all battle-tested IPS officers including SM Sahai of Jammu and Kashmir Police and Nalin Prabhat of the CRPF have been transferred out of the state tells a lot about the cluelessness of the PDP-BJP coalition in J&K.